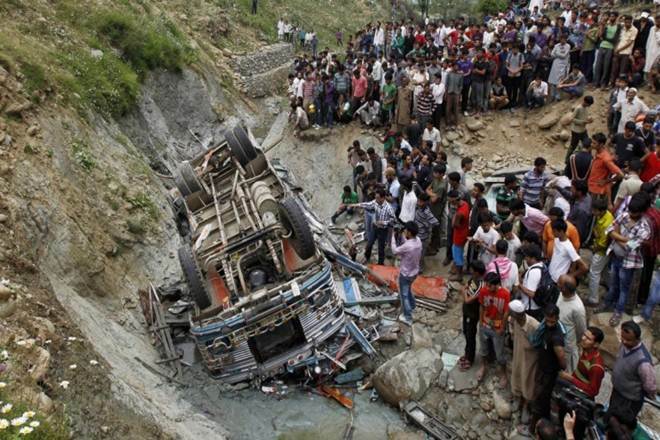 Seven Amarnath Yatra pilgrims were injured on Wednesday in an accident on the Jammu-Srinagar highway in the Ramban district. A vehicle carrying the pilgrims to the Kashmir Valley met with the accident in Chanderkote area of Jammu and Kashmir, a police officer said. The injured have been shifted to hospitals. Five pilgrims died on Tuesday after a landslide hit the Brarimarg-Railpathri area on the Baltal trek stretch in the Ganderbal district. Authorities on Wednesday halted the passage of pilgrims towards the Cave Shrine from both Baltal and Pahalgam base camps due to bad weather.